ModBargains offers a unique set of fender grilles to offset your M3 from the rest of the pack. 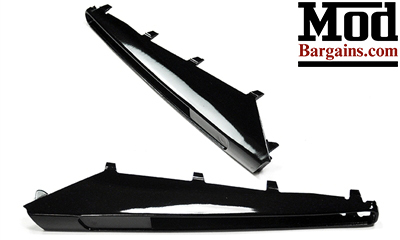 Now offered in gloss black, these replacement fender grilles catch the eyes of enthusiasts and passers by alike. Fits 2008-12 BMW M3 Sedan, Coupe and Convertible models. Make your E9X M3 stand out from the crowd with a set of Gloss Black Fender Grilles. 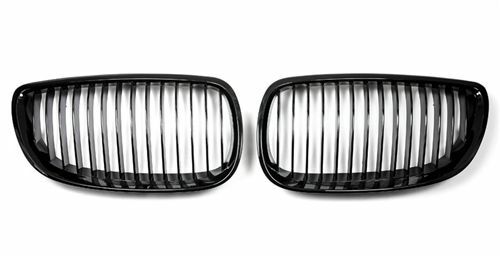 These alternative fender grilles replace your existing OEM chrome accents to uniquely contrast your 3 series appearance. Gloss Black Fender Grilles are perfect for a DIY install with an OEM fit. The fender grilles do NOT include the M3 logo. *Now constructed from durable ABS plastic.